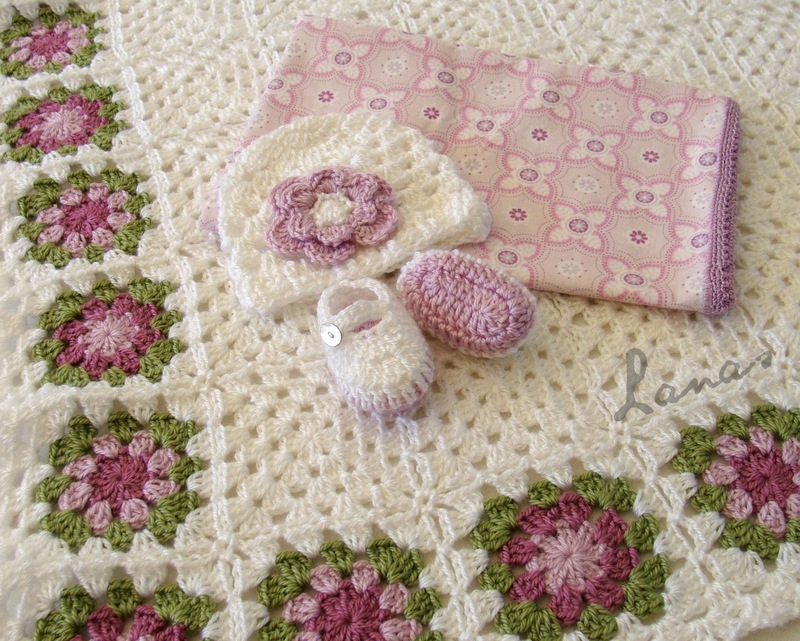 My mom made this baby blanket, with white granny squares, and a flower border. Mi mamá hizo esta manta para bebé, hecha de cuadros de la abuelita (granny), y un borde de flores. 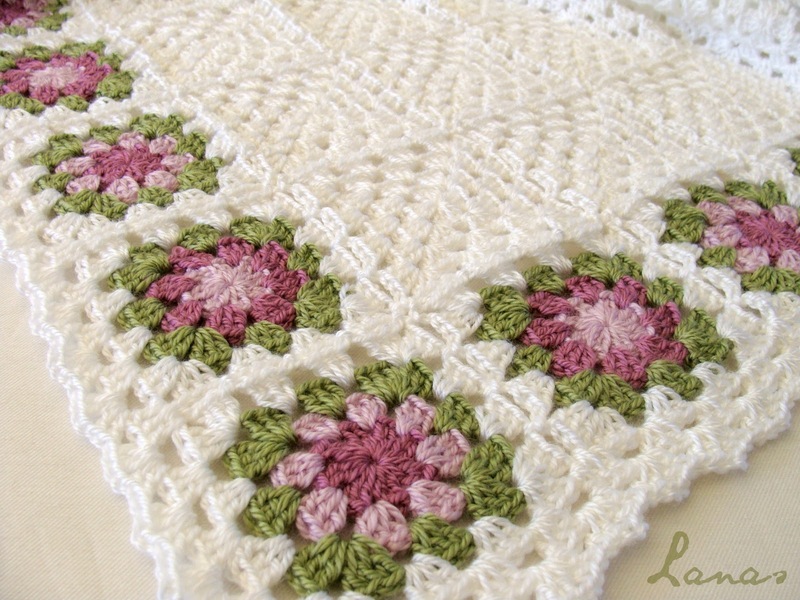 The flower border was made with the granny squares from: the “Summer Garden Granny Square” (from Attic 24). She alternated between the two shades of pink for the petals and center of the flowers. El borde floreado fue hecho con los cuadros de: “Jardín Veraniego” de Attic 24. Alternó entre los dos tonos de rosado para los pétalos y el centro de las flores. For the final border, she used Bunny Mummy’s “Double V Edging”. Para el borde final, usó el borde de Bunny Mummy: “Double V Edging”. This baby blanket is part of a gift set, along with: baby hat and shoes (made by me ☺), and a flannel receiving blanket with a crocheted border. Esta frazada es parte de un set de regalo, junto con: zapatos y botas en ganchillo (hechos por mí ☺), y una mantita de franela con un borde delicado en ganchillo. That is gorgeous and such a wonderful gift! Great work. Absolutely beautiful. 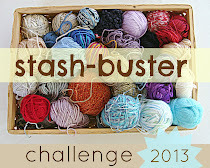 That inspires me to want to learn to crochet. Lovely colour choices. What a lucky baby! Que elegante y bonita que es!! Parece muy confortable! Preciosa la mantita y preciosos el resto de los complementos. Linda, linda essa combinação de cores e os coloridos só em volta. Me encanta esa manta, es sencilla pero muy original, y tan dulce!!! El resto del set también es una monada. This is sooooooooo beautiful and so precious! So Gorgeous!! Love the colors combination and the sweet flower on the little hat! Thanks so much for sharing! 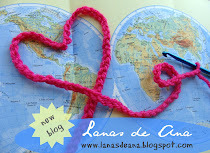 I'd love for you to visit my blog. Oh wow, Ana, you and your mom are both so talented! 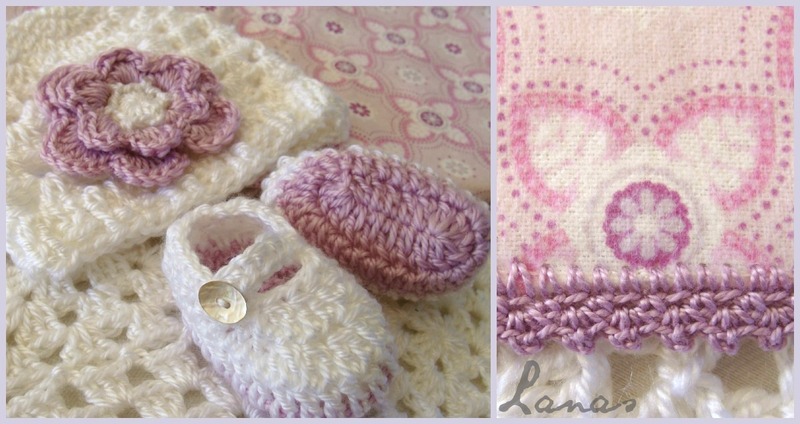 This blanket is just gorgeous, and the hat and booties and receiving blanket to go with it. Amazing! Thanks for sharing at Hookin On Hump Day! 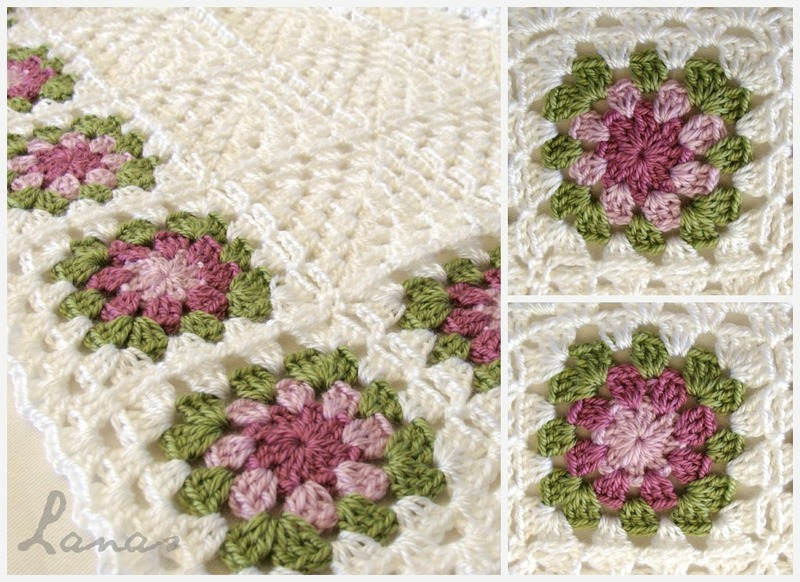 Do you have the pattern for the plain white granny squares? This blanket is beautiful! !